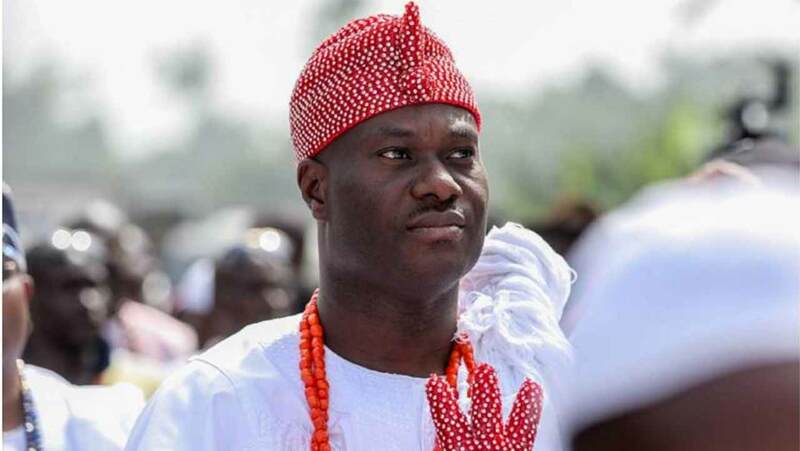 As a show of support for the growth of African culture and heritage, His Imperial Majesty, The Ooni of Ife, Oba Enitan Adeyeye Ogunwusi Ojaja II, is set to storm the maiden edition of Hollywood and African Prestigious Awards (HAPAwards). The awards which is scheduled for 18th November at the Legendary Alex Theater in Glendale California will honor American and African community leaders, international political figures, dignitaries and celebrities in the movies, music and comedy categories. This year’s message tagged ‘The Eradication of Negative Images Associated with Africa and the Forgotten History’ willbe delivered by His Imperial Majesty, The Ooni of Ife, Oba Adeyeye Enitan Ogunwusi, Ojaja II. HAPAwards promises to celebrate outstanding achievements of artists from various entertainment genres with the vision to continuously combine the richness of African cultures with the beauty of America to promote world peace. Ms. Tina Weisinger, Founder and Executive Producer, Hollywood and African Prestigious Awards, said the event stands to bridge the gap between Africa and the rest of the world. “By creating this entertainment platform, our goal is to give well-deserved honorees the acknowledgment and appreciation they deserve while spreading positive messages of peace around the world.” Weisinger said. Other dignitaries lined-up for HAPAwards are His Royal Majesty King Mswati III of Swaziland and head of the Swazi Royal Family, His Royal Highness King (Dr.) Noble Odaifio Welentsi III of Ghana, Chief Osabarima Nana Ansah Sasraku III Mamfehene and Kyidomhene of Akuapem Traditional area of Ghana. The duo of Michael Adegoke and Dulo Folarin Harris were recently named as host and co-host of the 2017 edition of Hollywood and African Prestigious Awards. Eddie Murphy’s cast of Coming to America, Former WBA Heavyweight Champion Honorable Gerrie Coetzee, Taye Diggs, John Tallichet, Vitalis Ndubuisis, Lionel C. Martin, Collins Archie Pearce and Dr. Olusola Oyemade are some of the honorees at the HAPAwards. Furthermore, activities preceding the 2017 HAPAwards are available on www.hapawards.com as the I Dream For All Foundation puts together a one-week celebration for the foremost monarch of the black race starting 14th of November. Other events within the week includes a Celebrity Painting of the Ooni of Ife by Art Icon Davood Roostaei, Business Roundtable with Stars of Hollywood, an Education Seminar and Workshop for students from the State of California, Yoruba Indigenous Day with the African Community and a Special Session at the West Angeles Church in Los Angeles. Finally, a VIP Dinner with the Kings will be organized alongside Fashion Extravaganzas to provide designers and vendors a rare opportunity, displaying high-end garments and products to Africa’s renowned Royals. The Hollywood and African Prestigious Awards honor recipients who globally promote the cultures of Africa and Hollywood and celebrate outstanding achievements by African and Hollywood celebrities, musicians, comedians, sports personalities, community leaders and dignitaries. The Awards provides a platform for talented Africans to connect with the Hollywood Entertainment Industry and proceeds of this year’s event will be contributed to assist the Ife-Ife Community in West Africa, A Hat Is Not Enough/The Streets Are Not The Way Educational Project and Victims of Disaster in the United States.